Cat5 vs Cat5e vs Cat6: What's the Difference? Cat5 vs Cat5e vs Cat6: What’s the Difference? It’s not always easy to wire up your home, especially if you’re using the network to stream video, play games, transfer data between computers etc. but it feels great once you finally do it. During your wiring, you must be confused with all kinds of network cables, such as Cat5, Cat5e or Cat6. Cat5 vs Cat5e vs Cat6: what’s the difference between them? And which should you choose for getting a faster network? This paper will give you some advice. Cat5 vs Cat5e vs Cat6: What is Cat5 Cable? Cat5 is short for Category 5. Network cabling that consists of four twisted pairs of copper wire terminated by RJ45 connectors. 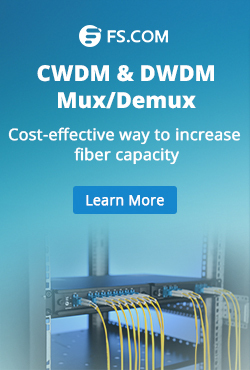 Cat-5 cabling supports frequencies up to 100 MHz and speeds up to 1000 Mbps. It can be used for ATM, token ring, 1000Base-T, 100Base-T, and 10Base-T networking. In general, computers hooked up to LANs are connected using Cat5 cables, thus, if you’re on a LAN, most likely the cable running out of the back of your PC is Cat5. Cat-5 is based on the EIA/TIA 568 Commercial Building Telecommunications Wiring Standard developed by the Electronics Industries Association as requested by the Computer Communications Industry Association in 1985. Cat5 vs Cat5e vs Cat6: What is Cat5e Cable? Cat5e, short for Category 5 Enhanced, network cabling is used as a cabling infrastructure for 10BASE-T (Ethernet), full duplex 100BASE-TX (Fast Ethernet) and 1000BASE-T (Gigabit Ethernet, or GbE) networks. Cat5e cable provides the performance of up to 100 MHz and can be used up to a maximum length of 100 meters. 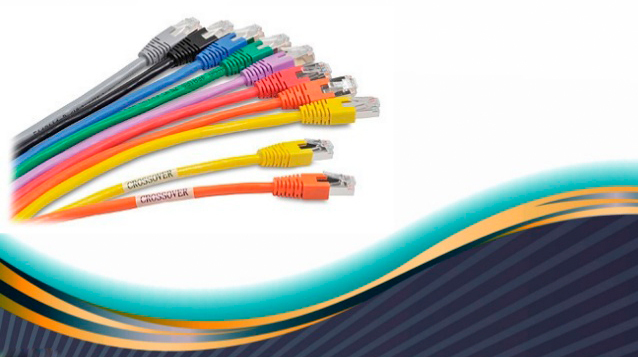 Cat5e cables typically consist of four unshielded twisted pairs (UTP) of copper wire terminated by RJ45 connectors. Cat 5e has stricter specifications in a number of areas, including Near-End Crosstalk (NEXT), Power Sum Equal-Level Far-End Crosstalk (PS-ELFEXT), attenuation and return loss. The Cat5e standard was first released in 1999 as part of the Telecommunications Industry Association’s TIA/EIA-568-5-A document specification. The Cat 5e cable standard is backward compatible with the Cat3 and Cat5 cable standards. Cat5 vs Cat5e vs Cat6: What is Cat6 Cable? Cat6 is Category 6 for short. Usually, Cat6 network cabling consists of four unshielded twisted pairs (UTP) of copper wire terminated by RJ45 connectors that are used as the cabling infrastructure for 10BASE-T (Ethernet), 100BASE-TX (Fast Ethernet), 1000BASE-T (Gigabit Ethernet, or GbE) and 10GBASE-T (10-Gigabit Ethernet, or 10 GbE) networks. The Cat6 standard provides the performance up to 250 MHz (500 MHz for the newer Cat 6a standard) and can be used up to a maximum length of 100 meters (55 meters for 10GBASE-T networks). The Cat6 standard was first released in 2002 as part of the Telecommunications Industry Association’s TIA/EIA-568-B.2-1 document specification. Cat6 cable is backward compatible with the Cat3, Cat5, and Cat5e cable standards. Additionally, Cat6 standard also includes more stringent specifications for crosstalk and system noise that show more higher performance. To compare Cat5 vs 5e vs 6 Ethernet cables, you may find their difference easily. Network support – Cat5 cable will support 10/100 Ethernet (i.e. Ethernet and Fast Ethernet) while Cat5e cable will support Ethernet, Fast Ethernet, and Gigabit Ethernet. Cat5e cable is completely backward compatible and can be used in any application in which you would normally use Cat5 cable. Less crosstalk – Crosstalk is the electrical interference that results when one wire’s signal affects another wire’s signal. In this respect, Cat5e cable works better than Cat5 cable that crosstalk has been greatly reduced. the information‐carrying capacity in a given period of time. Cat5e cable is rated at 100 MHz, and it is this increased bandwidth (compared to Cat5 cable) that allows it to support Gigabit Ethernet. Tips: If you are still confused with these two kinds of Ethernet cables and can not sure which you should buy for your home network, it is recommended ordering CAT 5e. What’s the difference between Cat5e and Cat6 Ethernet cable? Compared with the Cat5e, Cat6 cable includes a few more improvements. It has stricter specifications when it comes to interference. It is expected to suit the10GBASE‐T (10Gigabit Ethernet) standard, although with limitations on length if unshielded Cat6 cable is used. To most Ethernet cable buyers, they may have lots of confusions for concerning whether to purchase Cat5e or to use Cat6. Most of this confusion comes from a misunderstanding by the buyer that using Cat6 cable will give them an “all gigabit” network. This is not the case unless every single component in the network is gigabit rated you will never have a gigabit network. You must remember that your network will always run at the speed of your slowest device but not mainly depending on your cables. Cat5e cable of good quality can run near or at gigabit speeds, it just cannot be “certified” for this use. By comparison, Cat6 is designed especially for gigabit use and is certified to operate at said speed. So, you don’t exactly need to rush out and upgrade to Cat6. But, certainly, if you’re buying a new cable, you might as well, since it is an improvement over its predecessor. In a word, while Cat6 is expected to supersede both Cat5 and Cat5e cabling in the future, all three types of cables continue to be popular for use in network installations. If you are unsure what type of cables you have and still do not know whether it fits your requirement, look at the text printed on the cable which usually tells you what type it is. The differences between each type of cable can get very complicated and have a lot to do with network standards. 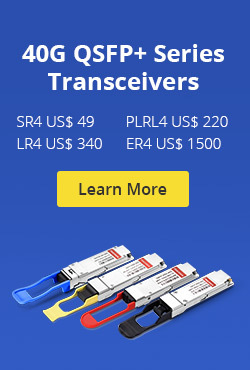 If you are going to buy Ethernet cables, I hope this paper will give you some help or you could come to Fiberstore to get more information and help. Related Article: How to Wire Cat5e Ethernet Cable? This entry was posted in Fiber Cabling and tagged Cat5 cable, cat5 vs cat5e, Cat5 vs Cat5e vs Cat6, Cat5e cable, cat5e vs cat6, Cat6 cable, difference between cat5e and cat6 on December 2, 2014 by Admin.